Man of Rubber began as an inflatable repair service in 1983. 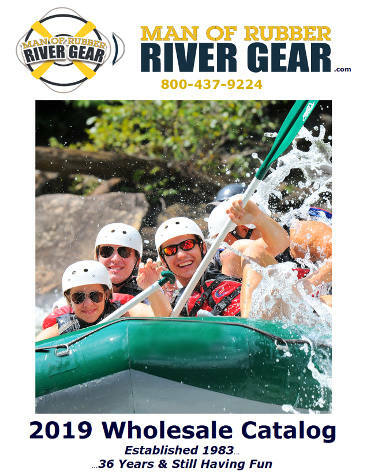 Before that, Gary was the equipment manager at one of the largest outfitters on the Ocoee River is southeast Tennessee and before that he was a founding partner in the first rafting company to open a shop on the Ocoee River. Gary knows about repairing all kinds of problems with inflatables of all types: rafts, catarafts, inflatable kayaks, etc., because for years he fixed them himself. If you have a problem you can’t solve, call Gary… he might be able to help. Adhesives, Coatings, Sealants, Leafield Valves, Respirators and Repair Kits: You name it, we’ve got it! Find Raft Repair instruction, how-to’s, helpful tips and other resources here from Man of Rubber. Need a recommendation for a raft repair company? Contact us via email or call us toll free at 800-437-9224. Lots of folks ask us about basic raft repair techniques. Getting our start as an inflatable repair service, we are all too aware of the necessity for attention to detail when doing repairs. None of these techniques are difficult, but all require that you don’t rush. Instead you must methodically go from one step to the next. The success of any repair is based In how well you perform each step. Some repairs do require the expertise of a professional and we’d be happy to provide you with the name of a repair service station in your area.